The toilet brush by Zone Denmark is part of the Barcelona bathroom series and characterised by a classic shape made of stainless steel. With clean lines, an elegant appearance and high-quality materials, this accessory enhances any bathroom and adds a touch of shine. 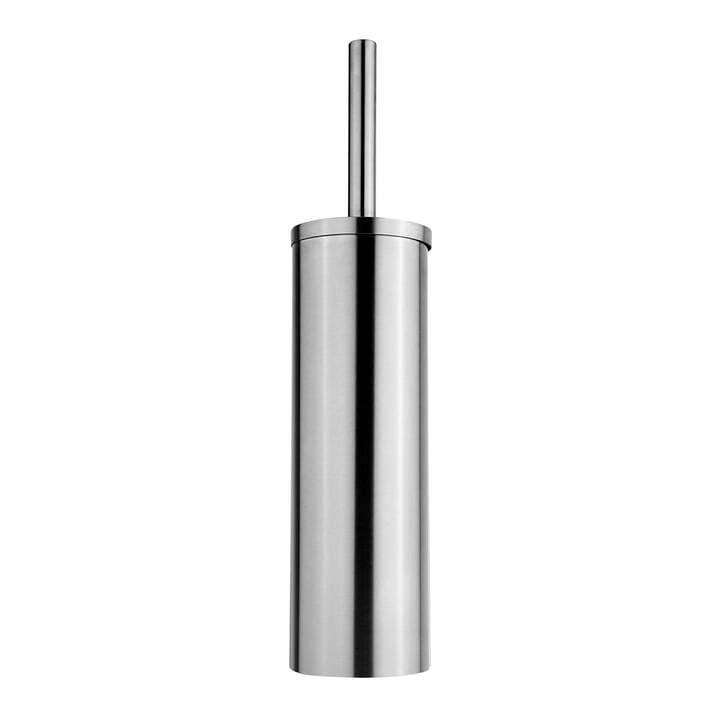 The toilet brush holder is made from stainless steel, which makes it particularly durable and perfectly suited for use in the bathroom. Together with other accessories from the Barcelona series, a modern bathroom can be tastefully designed. Isolated product image of the Zone Denmark - free standing Barcelona toilet brush. The toilet brush by Zone Denmark is part of the Barcelona bathroom series and is characterised by a classic shape made of stainless steel. 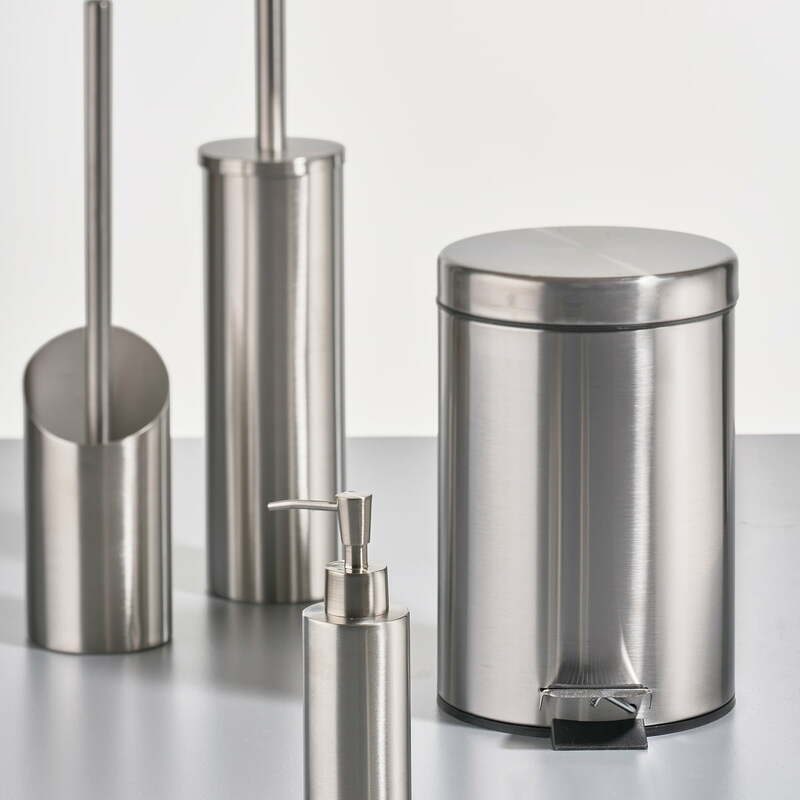 Group product image of the Zone Denmark - Barcelona bathroom items. Thanks to the Barcelona collection consisting of bathroom accessories, the bathroom can be designed in a modern and tasteful way.